Meet Mt. Mansfield Creamery! Stan Biasini and Debora Wickart are the husband-and-wife duo behind the delicious cheese. Stan is a former chef who is now dedicated on mastering their cheese recipes. Together, they produce small batches of seasonally-inspired raw milk cheeses in a creamery only four miles away from their farm. 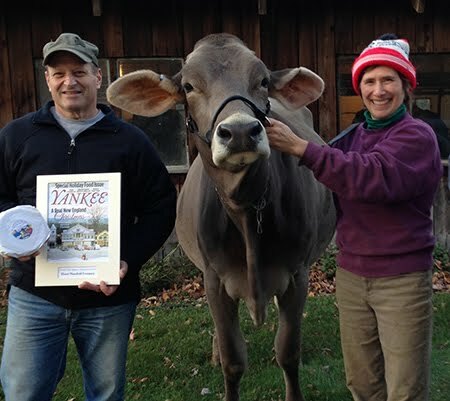 On the farm, Debora milks around 30 registered Holstein and Brown Swiss cows per day, who produce award-winning milk. Their cows are rotationally grazed during warmer months, and fed a grain and hay in the winter months. “Chin Clip” Cheese | Mt. Mansfield Creamery, Morrisville, VT “This firm, decadent cheese starts off buttery and finishes with a nutty flavor. Pairs well with fruits and vegetables or your favorite red wine.” - Note from the cheese maker! Eat this first: Bok Choi - this crisp green vegetable can be sauteed and ready to eat in just a few minutes. It pairs well with soy sauce and garlic. Serve in soup, or add to noodles or rice, or serve as a side dish to chicken or salmon. Learn a little more about fennel in our Tender Profile blog post! Intervale Food Hub Cooking Classes - New for December!